Happy Leap Day! Today, I share with you a new product from Lunchskins! 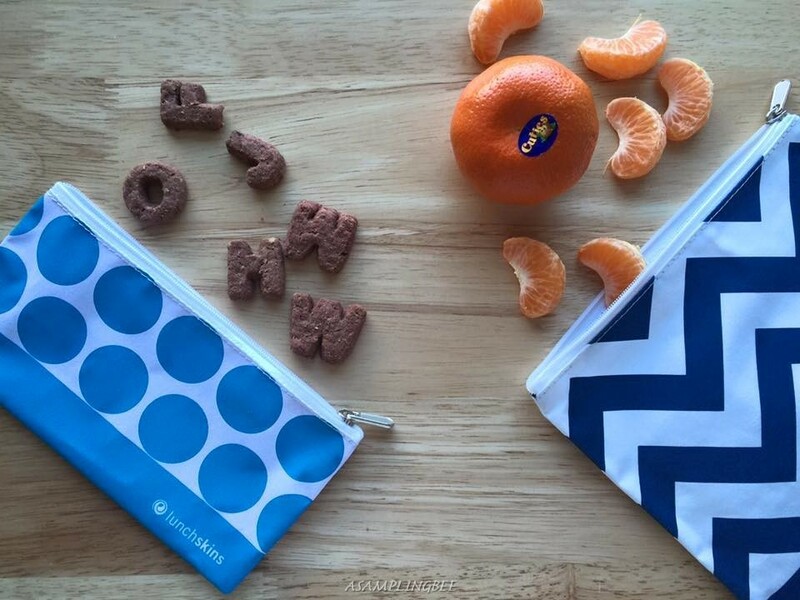 Lunchskins has just recently introduced their new Zip Bags! Lunchskins allows us to reduce, reuse and recycle. Which means less plastic bags in our oceans and landfills. Just one Lunchskin replaces 500 plastic bags! 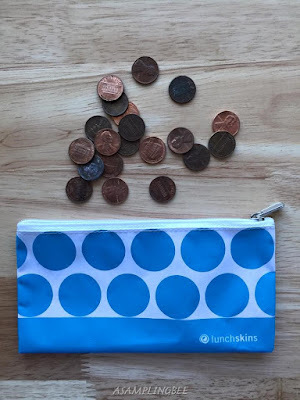 The Small Zip Bag is great for storing spare change. 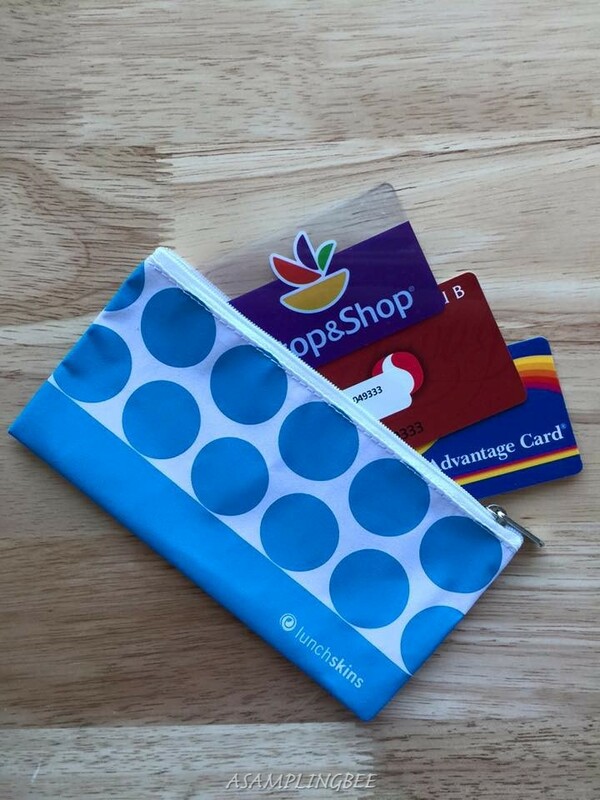 My favorite use for the small zip bag: Storing all of my store loyalty cards. I use the Medium Zip Bag for snacks. And for storing refrigerator magnets. There are so many different uses for Lunchskins. I have used my Velcro bags as ice packs, coupon holder, to store puzzle pieces and to keep my glasses scratch-free. Luncksins are great for packing snacks or sandwiches for school lunches or road trips. They wash nicely and can be used over and over again. I have been using a few of the Velcro bags for a few months now and they still look brand new. Lunchskins dry quickly and don't stain. They store neatly in my cabinet. I really love these bags. They make a great gift. Lets make the world a better place for future generations and buy Lunchskins! Lunchksins are dishwasher safe, toxin free and certified food safe. The Zip Bags are made out of quick-drying lightweight fabric. *I am a brand ambassador for Lunchskins. All opinions are my own. Always! Want to become a brand ambassador for Lunchskins?? Apply HERE! Use code FONZ and save 10% on your order. All orders ship FREE! I would love to get a couple of these for my boys lunches. What a great idea. Hey, these are really cool. I'd definitely be using them around the house and for school lunches. These can be used for almost anything! So versatile! These look awesome! I would love to use these. I go through zip locs like crazy, and a re-usable option is great. I would love to have a bunch of those for a lot of reasons, but mainly it's all about my love for organizing things. I like the designs too! Hello :) The medium zip bag is $7.99. The small one is $6.99. There is also a mini zip bag and that one is on sale for $4.99. Use code FONZ and save 10%on your order. Always FREE Shipping, too! INteresting little bags. It definitely beats regular ziploc bags. They are much better for the environment, too! I totally love your zip bag! That would be nice as my coin puirse. 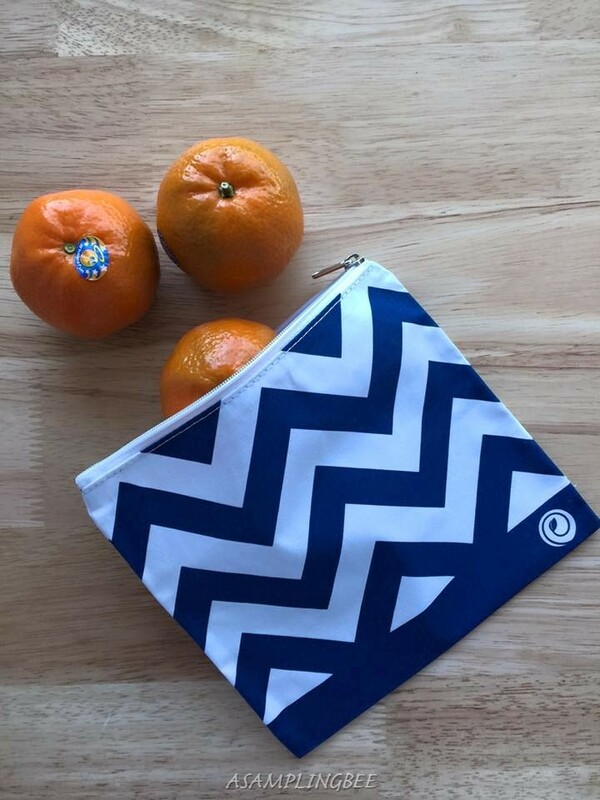 There is also a mini zip bag which is on sale right now for $4.99. Perfect for coins. Use code FONZ and save 10%! My son is allowed to take a snack to school each day. This would be great in lieu of the disposable snack bags we're using right now. Oh my goodness! I love its design, perfect for my makeup brushes. how cute is that! Looks versatile and stylish. Omg these bags are just wayyy too cute!!! I need them in my life! 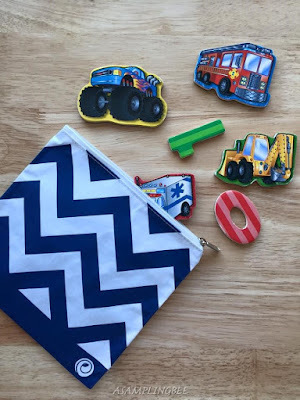 These are some cute looking little bags & I would want few for my kids as they would love it so much. I could use it to put in some snacks & small toys that could excite them when needed. Cool and cute bags! I love that it replaces plastic bags and you can put a lot of things in it.